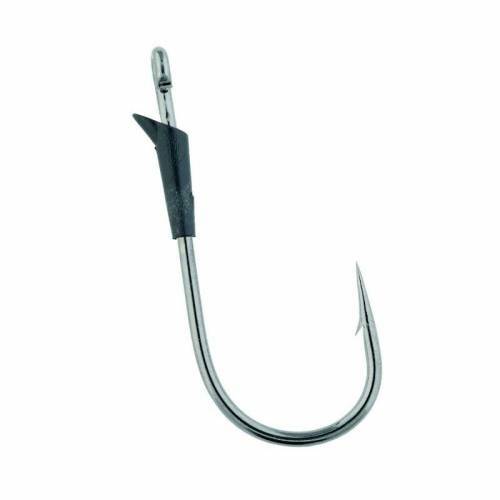 Super sharp, heavy duty, black nickel Gamakatsu Siwash hook made exclusively for Strike King. It features a small eye that does not tear up plastics and is sealed closed, so your line cannot come out. It also has an injection molded rebarb keeper, that won't flex or open up when using braided line, has a big gap for good hook sets, and yet is compact so they can be used in smaller plastic baits. Use with heavy rods and strong line and fear no heavy cover or giant bass.